We all know the story of Noah's Ark. But do we? In this gleeful twist on the original tale, Noah has a brother, Neil - and Noah and Neil are very different.Noah is wealthy and a bit of a show-off. Neil hums songs about peace. 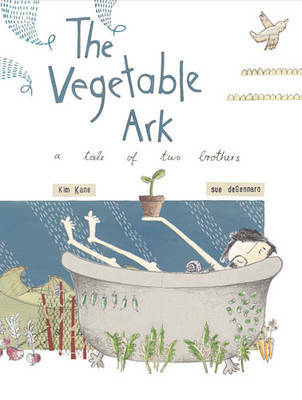 Noah brokers deals with a tense frown, while Neil wears his hair long and chats dreamily to pot plants.When it rains for forty days and forty nights, the race to find land is on: brother on brother, ark on boat, rack of lamb on bean.Sue deGennaro's inventive and charming artwork perfectly complements Kim Kane's delightfully clever story of deepest darkest ark rivalry.